Happy Holidays! 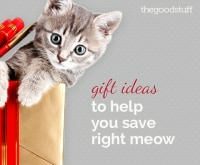 The Good Stuff wants to help you find the best gifts for everyone on your list — and we want you to win one of our prizes to help with your shopping budget, too! 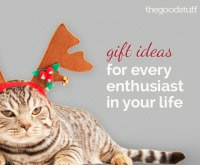 We’ve compiled gift guides for everyone from your kids to teachers, hair dressers, and postal carriers. Then we didn’t leave out suggestions for White Elephant and Secret Santa gift exchanges, and a few hints to help with hosting holiday parties. Take a look at all of our gift guides before you go shopping, then make sure to enter our sweepstakes below! To enter, first provide your email address using the form below for one entry. We’ll be picking three separate winners to win a $100 Amazon gift card, and one winner of a grand prize of a $500 Amazon gift card. No purchase necessary. Void where prohibited. Open only in the United States to individuals at least 18 years old at time of entry. 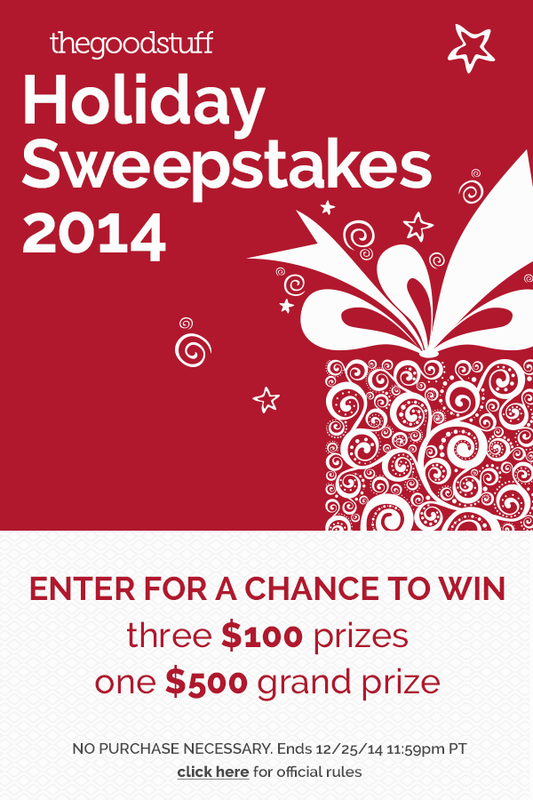 The sweepstakes ends December 25, 2014 11:59 p.m. PT, with the first two $100 gift card winners selected based on entries received up to December 12 11:59 p.m. PT and December 19 11:59 p.m. PT, respectively. Using the entry form below, to earn extra entries after you first provide your email, you can do any or all of the following: sign up for The Good Stuff email newsletter (1 entry), follow us on Twitter (1 entry) or Pinterest (1 entry), or visit our Facebook page (1 entry). Also, if you share the sweepstakes with your friends using the unique link available through the entry form, each additional person that enters the sweepstakes through your link will earn you an extra entry (up to 10). For complete details and odds disclosure, please review the Official Rules. The sweepstakes is sponsored by Coupons.com Incorporated, and is in no way endorsed or administered by, or associated with, Amazon.com, Inc. The winner of the first $100 Amazon gift card has been selected! There’s still time to enter below for the chance to win another prize. Warning: I posted to Twitter and FB, but did not get any extra entries. Thanks so much for entering the sweepstakes! You can earn additional entries by following @Coupons on Twitter and visiting the Coupons.com Facebook page. When you share the sweepstakes using the unique link available through the entry form each additional person that enters the sweepstakes through your link will earn you an extra entry (up to 10). No problem entering. Safe and easy. Thanks for a fantastic giveaway. Thank you for the great giveaway. I re-posted ! Merry Christmas!! Thanks for the giveaway. I try to enter all your sweeps. Thank you for this great giveaway~! Happy holidays to all ,! I love the joy of sweepstakes. Tis’ the season and a Merry Holiday. I love entering sweepstakes. Every chance I get I’m entering ,maybe this one will be a winner.. I LOVE contests! Have entered so many this holiday season. Fingers crossed ONE will come through!!!!! I would love to win this. I don’t have the money to get anyone anything for Christmas this year and I’d really feel bad if I got something from everyone but no one got anything from me. This would make my Christmas, literally. I can’t even buy any food for the dinner. Would love to win! Really need some craft supplies!! Great sweepstakes !! THANK YOU AND HAPPY HOLIDAYS !! !